Saraswoti is a two-time BMKF scholarship recipient. Initially she received a scholarship for a three-year certificate in general medicine, which prepares students to work as a health assistant in rural communities. Now she is pursuing her bachelor degree in public health. 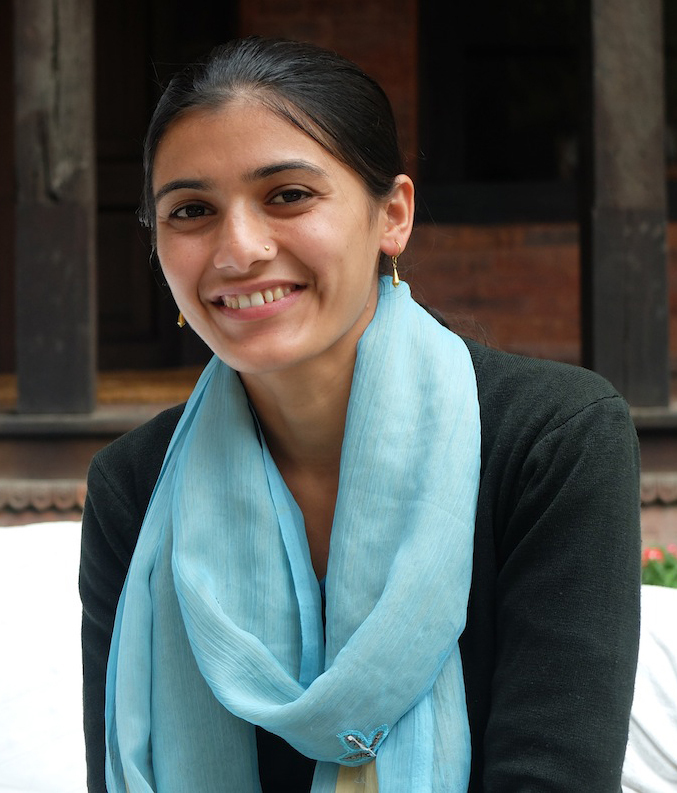 Her goal is to educate rural Nepali women about their reproductive health and rights. Saraswoti says she wanted to be a nurse, but wasn’t permitted to pursue that career because she walks with a cane. Undeterred, she wants to help rural communities gain knowledge and new attitudes about women’s health and other issues, including people with disabilities. She is also interested in public health policy.